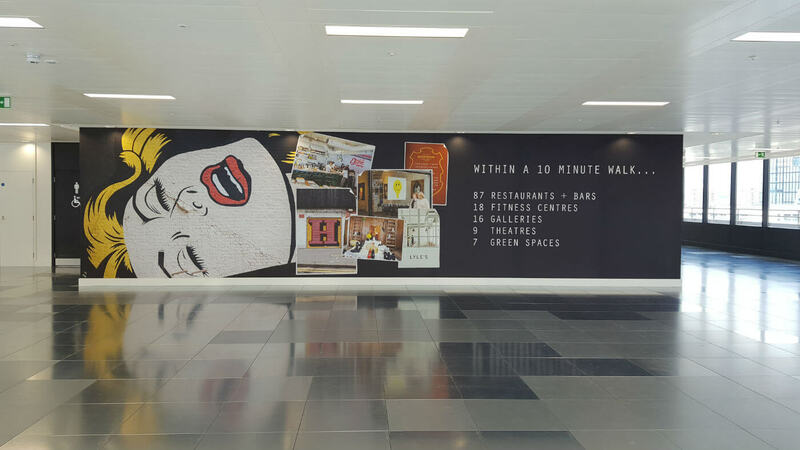 Reade Signs were asked by London-based branding firm Socrates Communications to work with them on the rebranding of Broadgate Quarter – a landmark building in the heart of London’s newly fashionable East End. 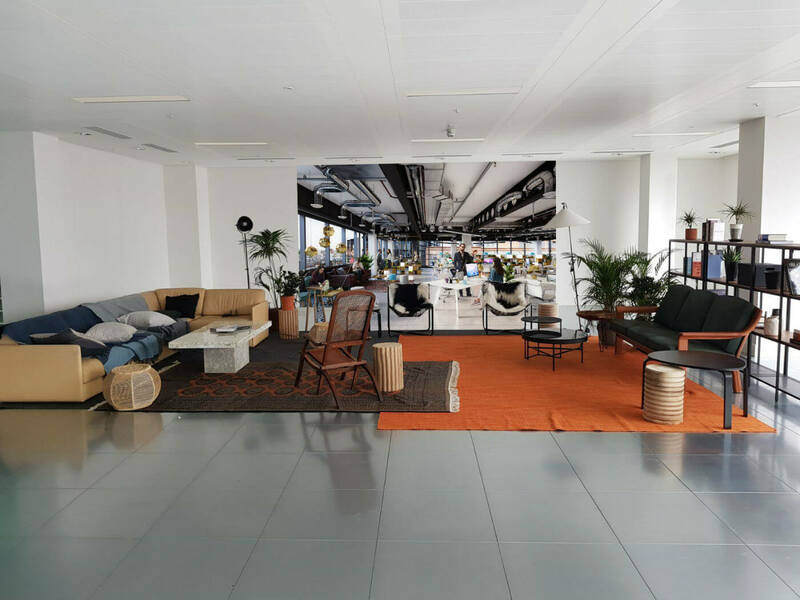 The 10-storey office block was undergoing a major refurbishment so we were expecting some artistic, innovative and technical challenges within a tight timeframe – and that’s exactly what we got. 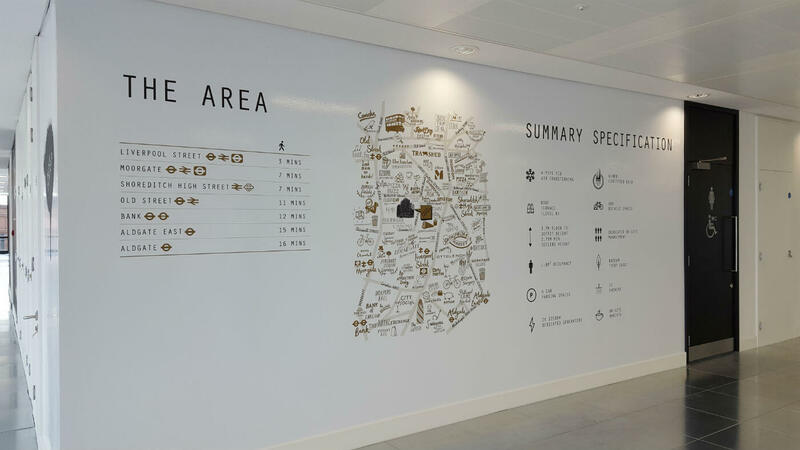 Apply a striking, toughened 2.9m x 1.9m painted back glass and vinyl directory. Removing the old letters from the marble was difficult and left some visible holes across an area around three metres across. These all had to be filled to match the contours of the original marble. On top of that, due to the weight of the glass, we weren’t happy just relying on the fixings to hold all of the weight in place. 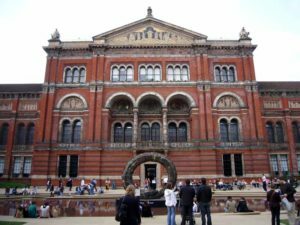 After a bit of careful consideration, Reade’s Installation Manager and his team used their technical background and experience to excellent effect with a bit of on-the-spot problem solving. Their solution was to design steel bars across the fixing holes to counterbalance the weight of the glass. The artwork was approved by the client on the Wednesday evening of the job, leaving us just two working days to upload and prepare the artwork ready for printing. We supplied the digital mural artwork on the Thursday morning, and the first installation was done on the Monday evening. 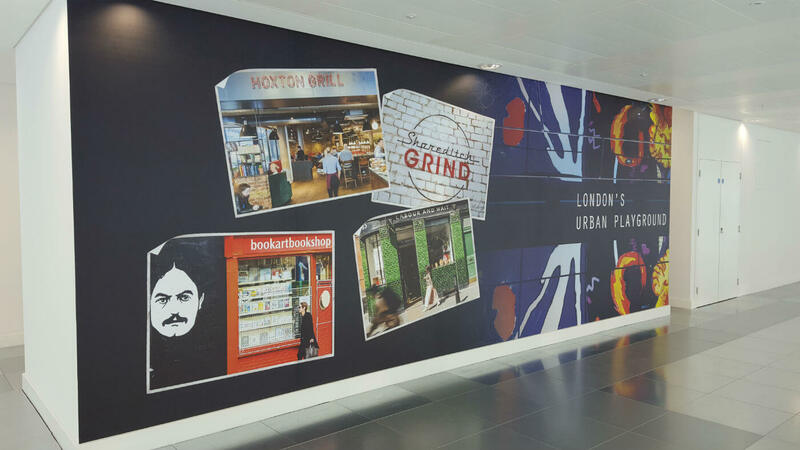 More than 230 metres of digital wall vinyl was printed, turned around and fitted within two working days! 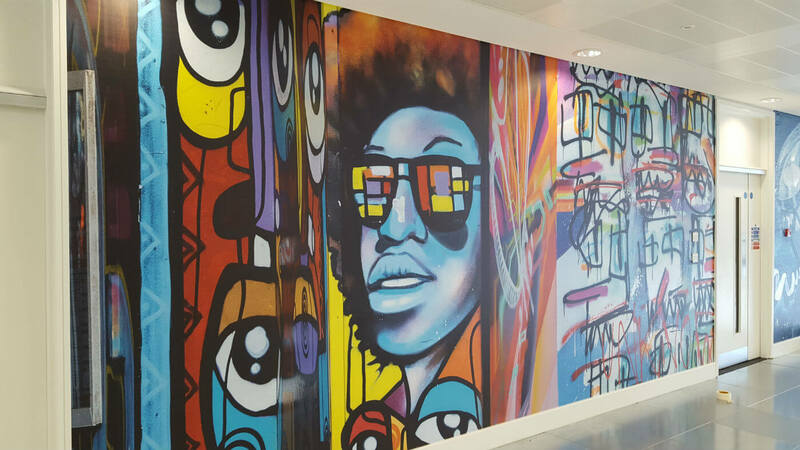 But it was worth it – the walls have a striking appearance with a radical graffiti design across the building’s 8th and 9th floors – not only serving the purpose of standing out from the crowd but ultimately, selling the space. 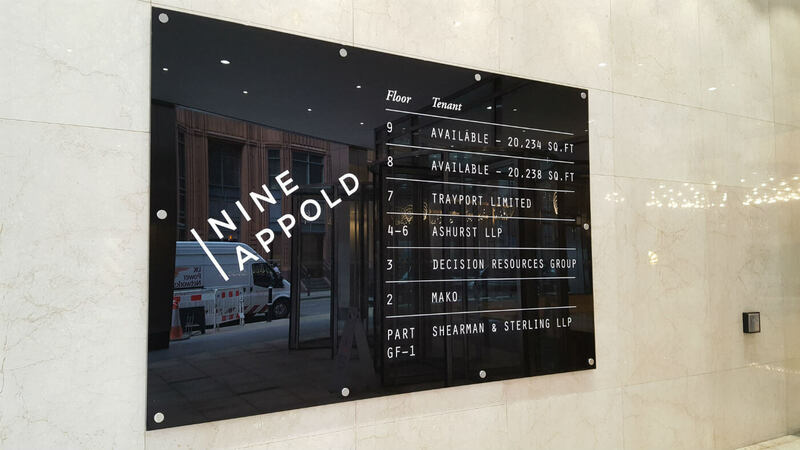 “Reade Signs were tasked with providing exterior signage and window manifestations at 9 Appold Street as well as printing and installing wall and complex floor graphics over two floors for the building launch. 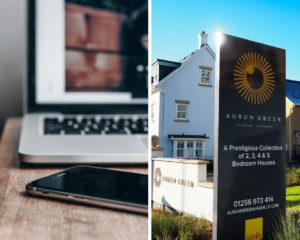 The exterior signage installation was challenging and required a fair amount of planning plus the deadline for completion of the project was extremely tight which necessitated working after hours. 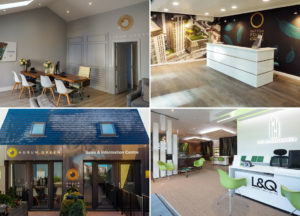 Reade Signs completed the work on time, as per quote which they have done for all the projects they have undertaken for us and we would happily recommend them for similar projects”. 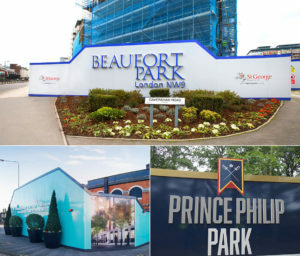 If you have an artistic challenge for us that needs completing to a deadline, contact Adriaan at Reade Signs or call 01252 336000 and let us impress you.